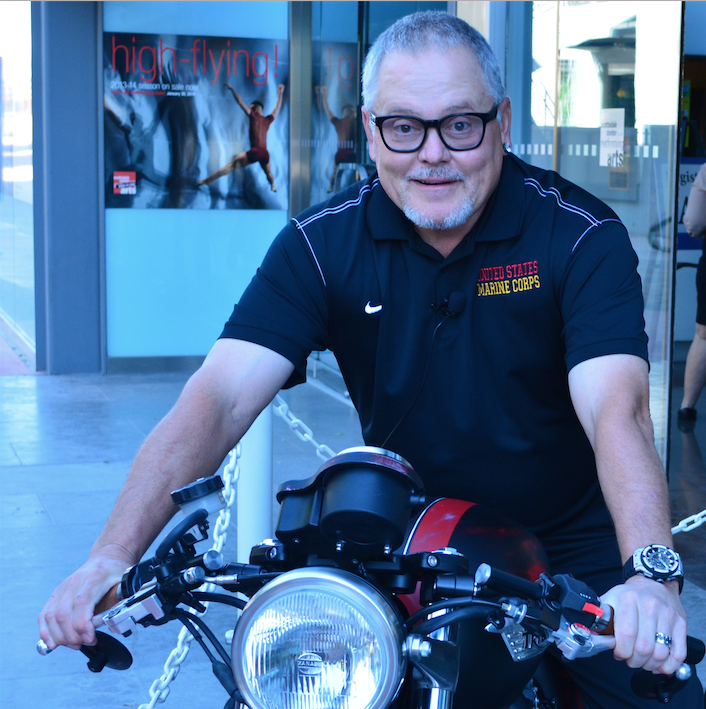 SuperBike talks to – Bob Parsons. 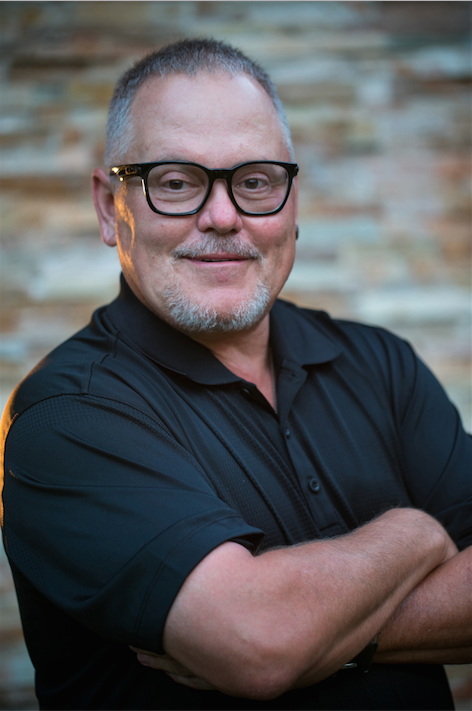 If Bob Parsons walked past you in the street, chances are you wouldn’t chuck him a second glance. An unassuming, smiling older guy, there’s little about him that gives away his passion for bikes, or the work he does for the motorcycle industry in Arizona and the rest of the USA. Growing up he scratched the biking itch like we all did, Bob’s childhood ride was a 55cc Yamaha. He’s no racer and has never claimed to be, aside from an attempt at Bonneville Speed Week on a BMW. That doesn’t stop him racking up tens of thousands of miles every year on a collection of bikes that would leave anyone green with envy. Now in his mid sixties, but showing no signs of slowing down, Bob stumbled on his buried passion for all things two-wheeled while serving a two-year tour of Vietnam with the United States Marine Corps. While convalescing in Okinawa following an injury, Bob spotted a Honda CB550 and ‘the drooling returned’ (Bob’s words). Bikes have been part of his life ever since. Olive drab K1600GT BMW. If you don’t why, you never will. While all this was going on, Bob’s passion for motorbikes grew. By grew, we mean, it really grew. With around 110 bikes currently at his disposal, Bob has clocked up around 150,000 miles in the last six years, on everything from a Kawasaki H2 to a Y2K Turbine bike. “When I ride, it stops me thinking about everything else. I love just worrying about not getting hit. Sure I’ve bounced off a few bikes along the way, a few of those crashes were all my fault, some not so, like the buddy that rode into me in Hawaii. I love how much bikes have grown over the years. Back in the ‘60s, if you rode a 500cc bike, you were the tallest hog at the trough. 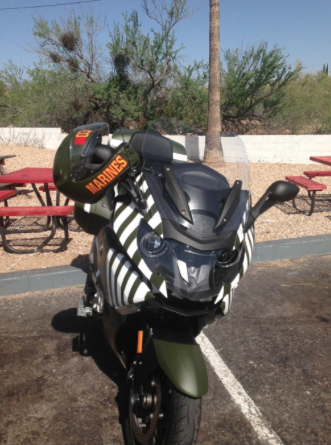 Now a 500cc bike is viewed as the place to go to get you started. Of course as bikes have gained extra size and power, ABS, traction control and all of the modern stuff, they’ve gotten so much easier to ride fast. I can remember getting a speeding ticket when I was riding through Tennessee one time. I think the limit was 60 and I was doing 80. I tried every trick in the book to wriggle off the hook, but it didn’t work. The policewoman blew me a kiss when she handed me the ticket. Bob’s business interest with motorcycles started back in 2008. Spotting an opportunity, he opened Go AZ Motorcycles, selling bikes from Ducati, BMW and Vespa. Within four years Go AZ had tripled the number of brands available for sale. Across the street was struggling Harley Davidson dealer ‘Hacienda H-D’. The dealership had a failing reputation, having one of the lowest scored reputations in the country. 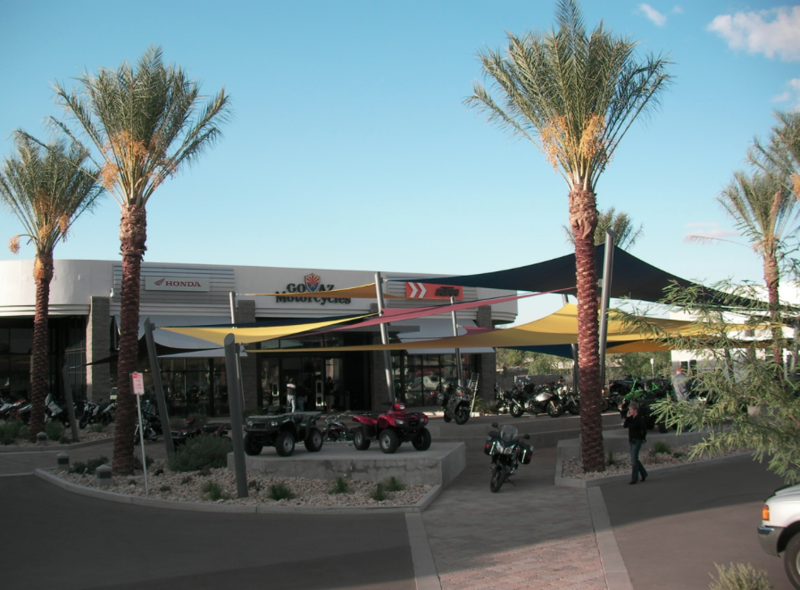 Within 12 months, Bob had flipped this on its head and had put the newly renamed Harley Davidson of Scottsdale in the top five per cent of dealerships in the country for customer loyalty. Increasing sales and customer relations meant being allocated more bikes from Harley Davidson, allowing the business to grow further still. The fact that there’s a ¼ drag strip next to the Harley dealership means that, not only does Bob get to ‘thoroughly evaluate the performance’ of all of his bikes, but he also uses it to host events throughout the year like ‘Bob’s Biker Bash’. Money from these events goes to the Phoenix Children’s hospital. 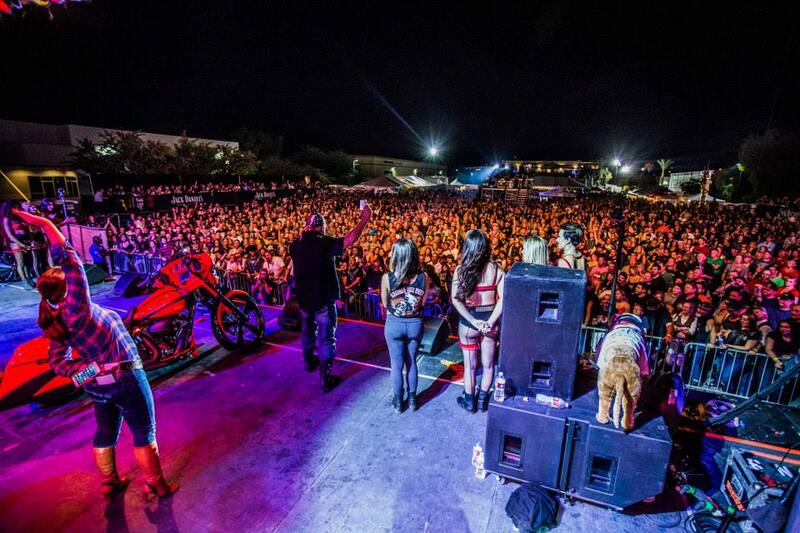 Music, cold beer, motorbikes and charity. That’s a win. Not one to hold back on opportunity, Bob is having what is reputed to be the largest Harley Davidson dealership on the planet built. With everything under one roof, from tattoos and burgers to big money custom builds and everything in between, you can be sure that like everything else Bob does, it’ll have the very best chance of success. We asked Bob if there was a bike he wouldn’t want to own? “There’s no bike I wouldn’t have, though I probably wouldn’t choose a scooter or an automatic trike. Just because I’m getting older, doesn’t mean I’m ready to slow down”. This rings true when you see that Bob has a Panigale R in his fleet, albeit modified with parts fitted from Spooky Fast, a motorcycle custom shop that Bob set up to cater for everything from custom paint to full on one off specials. Of course we all have people we admire out there in the bike industry. Bob shows us that they don’t always take shape in the form of the fastest racer on TV on a Sunday or that guy at your local bike meet that can hook third gear on the back wheel whenever he feels like it. It’s men like Bob, taking the time to invest in what was once just a passion, and turning it into regular jobs for people in his area that deserve a little recognition every now and then.